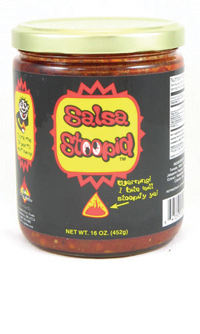 HOT HOT HOT my wife tried it and said it's like licking the Devils A hole my friends say it the hottest salsa they ever tried. Finally found a salsa with a good amount of heat and good flavor. I'm continually looking for a better, hotter salsa and not sure this one will be beat.